Shimla, formally known as Simla, is a place with unmatchable natural charm and great historic importance. Its historic importance starts mainly from 1864 AD when it was declared the summer capital of British India. The British Empire may have ceased to exist but its reminisce remains as young as ever. Named after the goddess Shyamala Devi, an incarnation of the Hindu Goddess Kali, Shimla was formally the part of Mahasu district and came into existence from 1st Sept, 1972 on the reorganization of the districts of the state. Today Shimla has added modern buildup and facilities to its natural charm. Surrounded by evergreen pine deodar, oak and rhododendron forests that make it ever more beautiful, Shimla welcomes the visitors and offers them tranquility and a chance to breath in a scintillating atmosphere like no other. With breathtaking vicinity, scores of splendid colonial edifices, quaint cottages, charming walks, valleys breathe whispering streams and swaying fields, Shimla ranks high on the list of most beautiful tourist destinations not only within India but also across the globe. One of the beautiful places within it vicinity is Fagu top, where HPTDC runs its deluxe luxury hotel, The Apple Blossom. 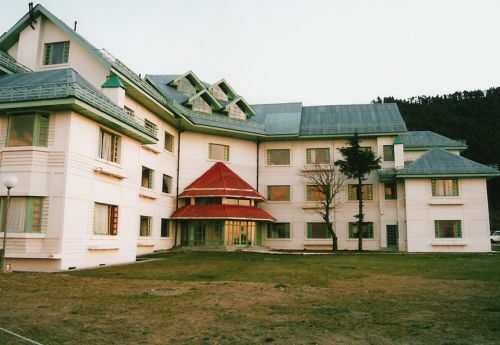 The hotel is set in the wonderful scenic backdrop and is merely 22km away from Shimla. Strategically located on a narrow ridge between two valleys, the hotel offers the visitors a splendid view of the landscape on either side. 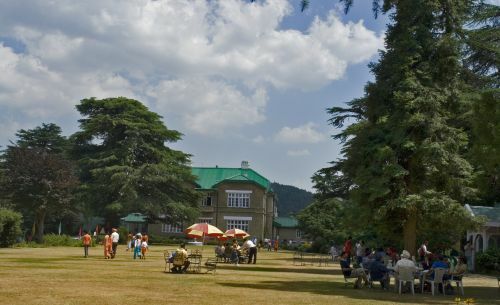 So if you ever make your mind to visit Shimla, be at the hotel Apple Blossom in Fagu to enjoy the nature at its best. 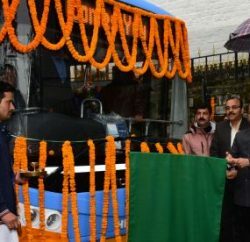 tourist season, HPTDC also operates regular deluxe buses from Delhi and Manali to Shimla. In the pre-independence era, Shimla was the summer capital of India. Hence, it does have places and edifices of historical interest that should attract visitors who wish to explore British architecture. Aside from its historical past, the scenic city is famous for having a peaceful, temperate weather all year around. Shimla has subtropical highland climate. While visitors may look for respite from scorching hot, humid weather and can enjoy monsoon showers here, they can also feel cozy when winter sets in, bringing sanguinity for a fruitful year ahead. 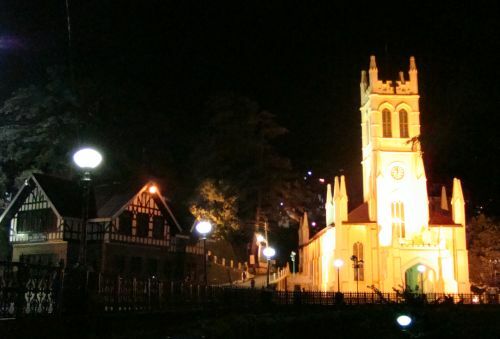 Well-recognized colleges, research institutions, temples and palaces done in neo-Gothic architecture, all join hands to make your stay in Shimla a memorable one for sure. Kufri: At an altitude of 2510 m and located 4 km from Fagu, Kufri is famous for its ski slopes that also include enjoyable walks leading up to Mahasu Peak in proximity. You can also visit a Nature Park and Mini Zoo. Shimla: At the height of 2205 m above the sea level, Shimla is located 22 Km from Fagu. 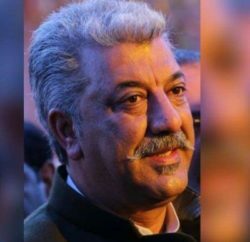 Once a summer seat of British govt. 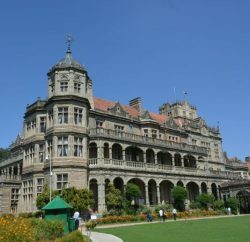 in India, Shimla is now the state capital of Himachal Pradesh and has the rarest of the rare heritage buildings and monuments of the bygone area. The legendary Mall Road, The Ridge, The Christ Church, Kali Bari Temple, Jakhu Hanuman Temple, Sankat Mochan, State Museum, Institute of Advanced Studies are the places worth a visit. Chail: The beautiful place like Shimla, Chail is at an altitude of 2226 m and is merely 27 km from Fagu. 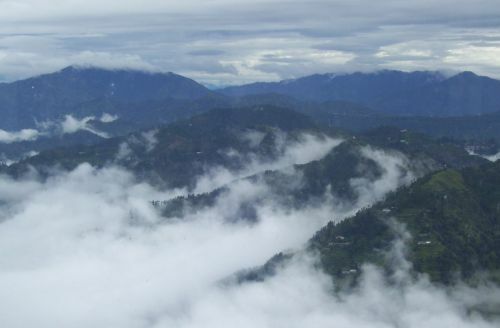 Chail provides many bounties of nature. Once the summer capital of Maharaja of Patiala, the Kingly Palace decorated with some historical objects and is also famous for the world’s highest Cricket Ground, Wildlife Sanctuary and Sidh Baba ka Mandir. Narkanda: On the Hindustan Tibet road, Narkanda, at an altitude of 2708 m, is merely 42 km away from Fagu. It offers a spectacular view of higher snow ranges. An uphill trek (8 km) through deodar woods leads beholder to Hatu Peak famous for ancient Hatu Mata Temple (3475 m). During winter, under the aegis of HPTDC, skiing is also conducted here. Kotgarh and Thanedhar, Himachal’s Apple heartland famous for delicious apples are located in vicinity. HPTDC runs Hotel Hatu at Narkanda.